In order to have a better understanding of how to practice with your child and general idea of the Suzuki Method. This book is included in the set of materials all new families receive. 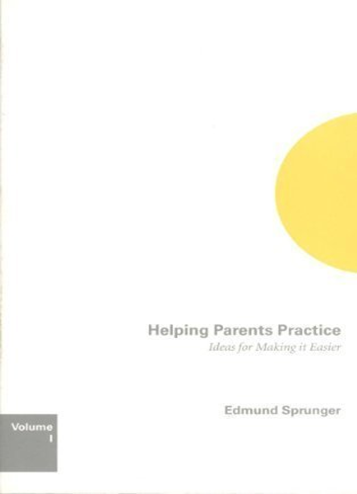 This book is written in response to the most common concerns of parents who practice a musical instrument with their children. Author Edmund Sprunger has taught violin for over twenty years both in his home studio and at workshops across the US and Canada. 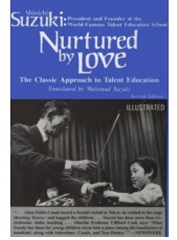 In order to achieve a broad understanding of the Suzuki Method, we suggest for all parents read the book, Nurtured by Love, by Shinichi Suzuki. This classic work by the founder of the Suzuki Method gives, through personal anecdotes, a history of the development of the Suzuki philosophy and his belief in the high potential of every child. There are many resources available to parents who would like to learn how to better help their young musicians at home. A few are listed in the Parent Handbook, some are even posted on the walls of the school. Two very important elements of a Suzuki musical education, elements which cannot be over-emphasized, are that students learn from listening and that students learn in a loving, nurturing environment. It has been shown time and again that the students who progress quickly in their love of music and their musical ability are those who listen to music on a daily basis. Please make sure as you embark on your daily home practices that you are providing a nurturing environment that includes plenty of time for listening. The school has weekly practice charts, 100 times charts and ability development charts for your use. In order to stay aware of current events, remember to frequently check Facebook and the communications board in the hallway area (outside the Mozart classroom) for information and always read the monthly newsletter. To receive newsletters, please email suzukinewsletters@gmail.com. There is a TV screen located on the north wall of the school lobby directly above the office window on which updates and urgent messages will be posted. Please contact your teacher directly with any questions or cancellations. Do not call the school to cancel individual lessons; your teacher will not receive messages left on the school answering machine, and this will affect whether you are entitled to a make-up lesson. Teachers home phone numbers can be found in the handbook. Suzuki Music School is not able to provide childcare for the siblings of children in our program. While parents need to be responsible for all of their children at all times, we understand that this can sometimes present parents with a dilemma. How can you attend one child’s group classes while also caring for brothers or sisters? In many cases, siblings are able to quietly occupy themselves during group lessons. However if your child(ren) is/are having trouble observing a class respectfully, please use your discretion about when the time has come to leave the class. If sibling/s continue to have difficulties in the classroom that prevent you from attending your child’s class, it is imperative to consider alternatives which would allow you to be present in your child’s class. Also please understand that you must be in the building or on the school grounds at all times while your child is attending classes at the school.